Texas governor invites GOP donors to December sessions to discuss 2016. Texas Gov. Rick Perry is inviting hundreds of prominent Republican donors and policy experts to a series of gatherings next month that are intended to rebuild his damaged national brand and lay the foundation for a potential 2016 presidential campaign, fundraisers and organizers confirmed to POLITICO. The small-group sessions kick off Tuesday and Wednesday in Austin with a pair of lunches and dinners held in the governor’s mansion wedged between policy briefings at the nearby office of Perry senior adviser Jeff Miller. In all, Perry’s team expects he will meet in person with more than 500 major donors and bundlers from around the country in December as well as a slew of operatives, Republican National Committee members and policy experts. Perry’s intensive month of foundation-building comes as other prospective Republican presidential candidates – notably former Florida Gov. Jeb Bush and Texas Sen. Ted Cruz – are engaging with the wealthy Texans who for years have been among the GOP’s most significant sources of cash. As the heir to a political dynasty with deep Texas ties, Bush in particular could seriously cut into Perry’s financial base. Bush over the last few months has met with major Texas donors. Things would be different if he ran again, say sources who have interacted with the three-term governor, who is leaving the office after having held it longer than any other person in Texas history. They describe his health as “tip-top” and his policy expertise as light years ahead of where it was in the last presidential cycle — all of which he intends to highlight in his December donor meetings. “If Gov. 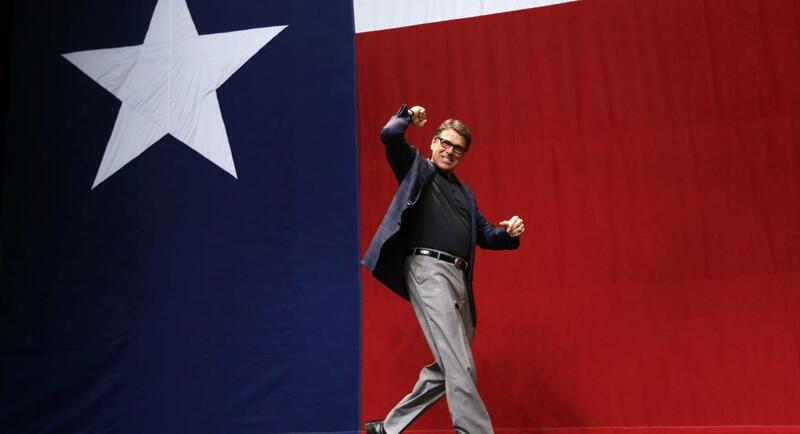 Perry is going to run, he’s going to be better prepared, and he’s going to have the resources necessary to compete,” said Henry Barbour, a Republican national committeeman who is helping plan for a Perry 2016 campaign and organizing next week’s donor sessions. After next week, there will be an additional four or five sessions throughout the month, as well as an array of briefings held at Miller’s office with policy experts from leading conservative think tanks, such as the American Enterprise Institute and the Hoover Institution, according to those familiar with the planning. The sources said Perry has been receiving twice-a-week briefings on different policy areas for months, including one on health care this past week in Austin featuring leading Obamacare critic Avik Roy of the Manhattan Institute. Perry also has been briefed – both in Austin and over the phone – by Lanhee Chen, the highly regarded policy director for Romney’s 2012 campaign, who authored a 172-page job-creation outline for Romney and likely would have played a leading role in a Romney White House. Several major donors and bundlers who supported Perry’s last White House run – including some who have been invited to the Austin sessions – were cautious or even skeptical when asked this week if they’d back a Perry 2016 campaign. Fort Worth investor and GOP bundler Hal Lambert supported Perry in 2012. He described the governor as “very good at working crowds and talking to people, but he’s really going to have to pick it up on the debate side. Those debates really ruined his chances last time.” While he said he wasn’t ready to commit to Perry – or anyone else – in 2016, Lambert said he’ll bring an open mind when he attends a dinner with Perry at the governor’s mansion on Dec. 17. Some major bundlers for George W. Bush’s presidential campaigns — including Wayne Berman and Dirk Van Dongen — have been supportive of Rubio. But the Florida Senator, who has not said whether he’s going to run, could face a difficult financial path if Bush ran, since the fellow Floridian has deeper ties to many of Rubio’s home-state benefactors, as well as the Bush family’s vaunted national money network. Perry’s Texas network overlaps slightly with the Bush network. But there’s also been tension between the camps, stemming partly from the Bush crew’s support for then-Sen. Kay Bailey Hutchison, a longtime Bush family ally, in her unsuccessful challenge to Perry in the 2010 Texas GOP gubernatorial primary. A GOP fundraiser who has worked with Texas donors said some of the richest among them have been meeting with Jeb Bush in Texas, and that his brother, the former president — and former Texas governor — George W. Bush has been talking up Jeb to rich Texans. “Perry is responding to that, and a lot of these donors are caught in the middle,” the fundraiser said of Perry’s Austin meetings. Gov Hairdeaux is outpaced only by serial murderer LBJ as the slimiest politician ever to hold office in this state. The mendacity, hubris and utter gall of this cretin is beyond most standards of even the most entry-level base of human conduct. He has no moral compass. He is devoid of even a shred of human decency or integrity. Sounds like the perfect RepubliThug candidate at the national level. But an ignorant electorate falls easily for such charlatans.